There are many famous sayings attributed to the late, great Bill Shankly that are still quoted to this day. Some of them, he even actually said. The one in the image above seems likely to have been genuine, actually uttered by the great man. But wherever you hear it quoted, you’ll usually hear a hastily-added qualification too: “He didn’t actually mean it, of course. It was part of his football-daft image…” Quite so. Shankly was football-daft – many are the anecdotes to illustrate this, and again, some of them are based on fact. But Shanks wasn’t daft in the wider sense and, certainly, if he did utter the words above, they’ll have been uttered with tongue firmly in cheek. All of which sheds awfully little light on the baffling and tragic death in Kenya of local Man U fan John Jimmy Macharia, 23 or 28 (depending on which report you read), who plunged to his death from a multi-storey apartment block in Nairobi after David Moyes’ men suffered a second home defeat in four days, further denting the champions’ chance of retaining the Premier League title. “Macharia jumped from the seventh floor of an apartment at Pipeline Estate after realising that his team Manchester United lost 1-0 to Newcastle at Old Trafford and committed suicide,” Nairobi’s County Police Commander Benson Kibui told Reuters. Commander Kibui went on to bemoan the role of the English game in this and at least one other suspected suicide in Kenya over the past few years. “All witness accounts suggest he committed suicide because the team lost but officers are still talking to those who were with him as part of the investigations into the incident”, he said. 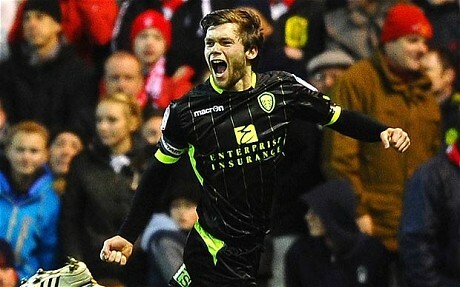 “It is not the first time we are losing a young man because of the football in England, which is far away from us. The football fans should enjoy the matches… but they need to know that is just a game and they should not commit suicide, since life is very precious.” Undeniably true. The fact that even one fan, anywhere in the world, could actually be moved to take his own life on the back of a pair of home defeats for a team thousands of miles away, seems mind-boggling. 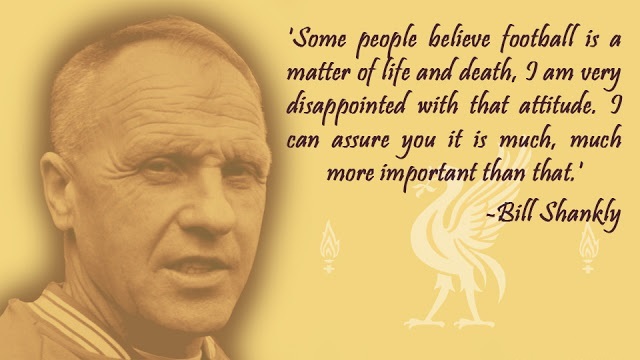 It seems also to give an uncomfortable resonance to Shanks’ famous quote – but a soundbite nearly fifty years old can have little to do with what is an extreme phenomenon, born of a different type of football support to that tribal devotion typical of Shankly’s day. As I wrote yesterday, this newish, different type of support has grown apace in the past decade or so. Some call it “glory-hunting”, some merely refer to “global fanbases”. But at its extreme margins, where tragedies of this sort are liable to occur – however infrequently – the motivations behind choosing to support a “megaclub” stand some examination. Why, exactly do far-flung people choose to do this? I believe that the answer to that depends on the type of club involved – but by far and away the most common reason is the wish to be identified with some perceived example of size, power and success. This is “gloryhunting” in the raw, where a person of questionable self-esteem, lacking any other readily-apparent avenues for self-aggrandisement, will latch on to an institution regularly “bigged-up” by the media, held up and put on a pedestal by such media as an example of success, something to be worshiped and revered, an institution which will reflect honour and glory onto its adherents, wherever they might come from. There is seen to be some social cachet, therefore, in being recognised as a supporter of, say, Man U. The opportunity is seemingly there for the otherwise pallid and ill-defined individual to bask in some reflected glory. For certain people of a perhaps less robust personality, this represents a relief from the humdrum routine of unregarded anonymity – it provides an escape route from their own feelings of inadequacy. In extreme cases though, the pedestal that such a needy person builds for him or herself is more like a house of cards that can too easily come tumbling down, bringing with it the hapless fan who has pinned so much carefully-nurtured self-esteem on a seemingly invincible team that turns out, after all, to be fallible. The shock of this will be too much for some to bear; as they witness the downfall of their heroes, icons they had thought utterly reliable, what are they left with? For the tragic few – seized upon as merchandising fodder by a voracious world game…and then let down with a bump – the answer would seem to be: nothing. Better then, by far, to use football as a channel, not for some hopeless yearning for a boost in self-esteem, but rather for the kind of grisly defiance and bloody-mindedness that characterises – for instance – Leeds United fans. If there’s one thing you can be tolerably certain of, it is that, by and large, Leeds fans need to be made of stern stuff. Not for them the lure of glory and triumph, not for them the warm glow of media hype and approval, or widespread cultural adoration. The Leeds fan – especially the Leeds fan from far afield – has different motivations of an earthier and more non-conformist character. Why else would so many travel literally thousands of miles per season, pay Premier League prices for what has been decidedly indifferent fare this past decade – and all of this to a background of contempt, disapproval, even hate? It’s a conundrum – but some answers may well lie in some of the illuminating responses I received to yesterday’s article. Whatever the reasons – and on the evidence of those replies, I would venture to suggest that most of them have to do with a desire to kick-out against the Establishment, the accepted way of things – the requirements to be a Leeds fan include a thick skin, strong shoulders, a philosophical personality and – above all – an unshakeable inner conviction that, against all visible evidence, they are right and the rest of the world is wrong. Thus equipped, the Leeds United fan is able to roll with the punches, go with the flow and still feel able to hold their head up high and proclaim “We are Leeds and we are proud. Marching On Together.” This is not the stuff of which potential suicides are made – or at least not for such mundane reasons as a football result. It’s the kind of inner serenity that fans of many clubs might well wish they could trade for a trophy or two. It’s a state of mind, and not one that can simply be assumed. It’s often said that fans don’t pick clubs – rather clubs tend to select fans of the mettle required to be worthy of supporting them. The media have a role to play in all of this, and it’s by no means a blameless one. 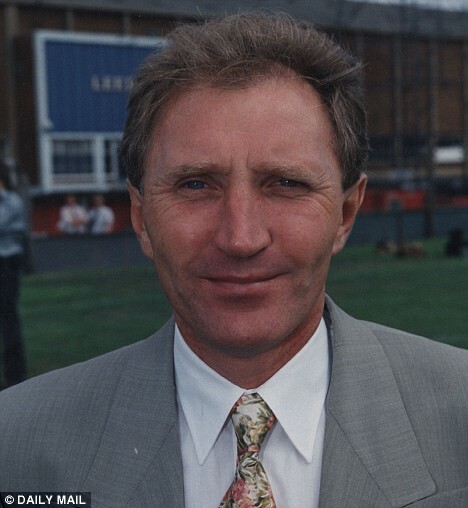 In their decades-long campaign of advancing the interests of one club – Man U – above all others, they have inflicted a certain amount of collateral damage, whilst at the same time strengthening the sinews of those already sinewy individuals who dare to swim against the tide and aspire to be Leeds United fans, or followers of other similarly proud but unregarded, unhyped clubs. The damage done by the media to the weaker vessels who have opted to cling to the coat-tails of the mighty Man U has not been done intentionally. But suggestibility and the capacity to be brain-washed are functions of the strength, or lack thereof, of the human personality, the human ego. It is the weaker ones who will be vacuumed up, wholesale by such a leviathan as Man U, with their publicity operatives in the press and media acting as recruitment agents. Only the strong of character can resist such a siren call, only the willfully-defiant will survive the propaganda and tempting blandishments to be seen and read everywhere. From these ranks – the ranks of the strong and the pugnacious – will emerge the Leeds United fans from every corner of the globe. These are not people who will launch themselves off a high building after a couple of home defeats. And fortunately so, as otherwise there might by now be sadly few of us left. The tragic young man in Kenya who died last weekend can be seen as an extreme example of a victim of the myth that has grown up around the likes of Man U – and they are not alone. A few years back, another Kenyan fan, this time of Arsenal, also took his life after a poor result, in the Champions League – ironically against Man U. Never can the essential wrongness of that famously ironic Shankly quote have been more vividly illustrated than in these two wasteful and needless deaths, precipitated – almost certainly – by the meaningless outcome of mere games of football on foreign fields that neither victim would ever have visited. This is when you start to question the degree to which football is hyped, when at bottom it remains mere sport, paling into insignificance besides the great issues of today or any other age. It’s a pastime, a preoccupation – something to talk about or argue over in a bar or on a tea-break. It beguiles many an idle hour, but it’s not – of itself – all that important. Of course, there is always a place for pride in football, and even for people to use it as a vent for emotions that can’t find an outlet elsewhere. But we must retain a sense of proportion, which is what that bemused police chief in Kenya was saying. Passion and commitment must be tempered by realism and a sense of proportion. The media should be playing a leading part in this, instead of grossly exaggerating over long periods the significance of games and competitions, or the standing and supposed invincibility of certain favoured clubs. To perpetuate these hollow myths is to act irresponsibly, as there will always be fragile personalities that cannot define for themselves a sense of proportion, and to whom, ultimately, something as silly as a game of football might actually become as important as life or death itself – all at the behest of irresponsible journalists selling a commercially-motivated fairy-tale. And when the ultimate tragedy happens, we’re all of us the poorer for it, even though it’s likely to affect fans directly only at that over-hyped and ridiculously puffed-up elite end of the world game. As Bill Shankly would doubtless have been the first to admit, the whole institution of football everywhere on the planet is not worth even a fraction of one life. It’s time that those responsible, in media and megaclub marketing departments, for pushing the hype, the hard-sell and the lies, got real, got back to what the game used to be all about and got back to reporting what happens instead of trying to lead the game by the nose in the direction of success and glory for the few and Devil take the hindmost. Because when all is said and done – it’s only a game. One thing that stands out in the writing of this article is the fact that, in the relatively short time since Forest were humbled, all four of the United scorers that night have left the club. 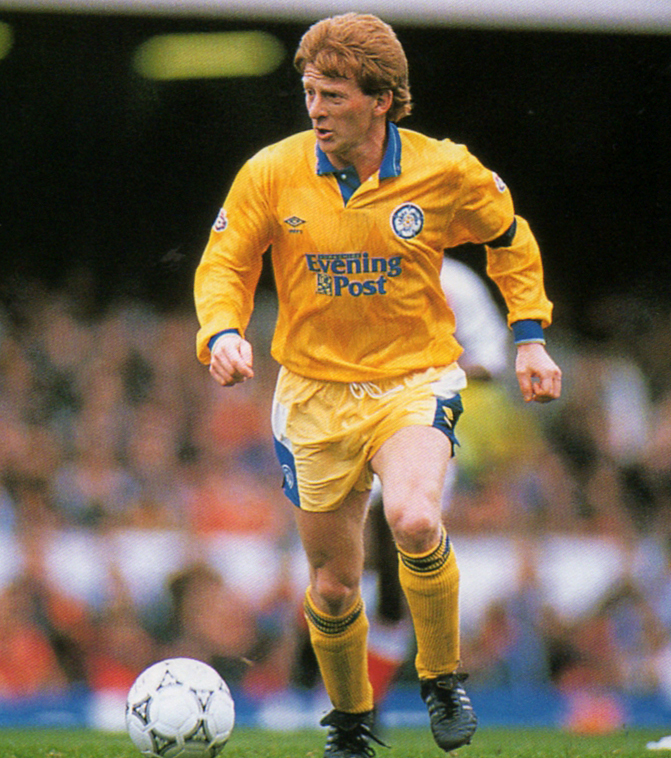 It’s a rather depressing thought, but they were certainly all Leeds all the way that night, and delighted to be able to help the Whites fans celebrate the life of one of their heroes with their own loud and proud tributes, and with a thumping victory to boot. Forest’s only real contribution to the evening came late on when the frustrated and already-booked Andy Reid earned himself a second yellow with an agricultural challenge on Aidy White. “Can we play you every week?” roared the United fans, a sentiment that would not survive the return game at Elland Road – and they would be glad too that it’s not every week they have cause to mark the passing of a United great at such a tragically young age, and in such awful circumstances. 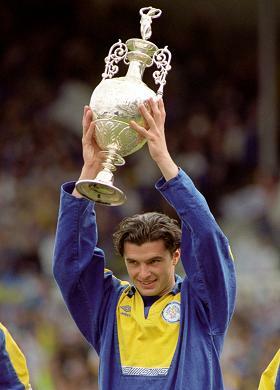 Gary Andrew Speed MBE (8 September 1969 – 27 November 2011) Leeds United 1988 – 1996, 2nd Division Championship Winner, First Division Championship Winner, Charity Shield Winner. Next: Memory Match No. 12: Real Madrid 3, Leeds United 2. 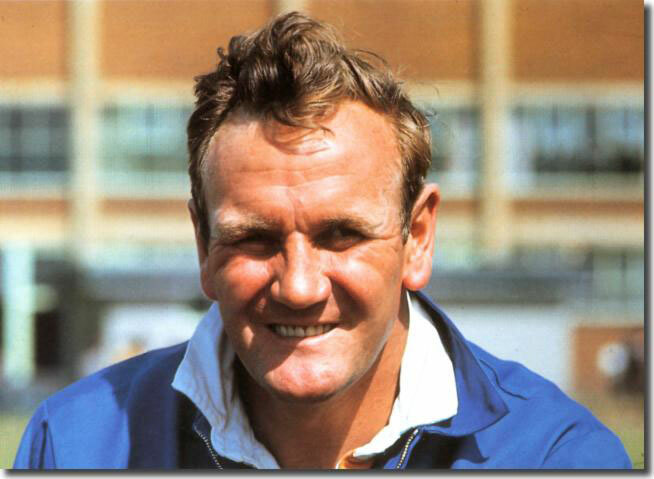 The late, great Don Revie always longed for his legendary Leeds United side to be pitched against the biggest legends of them all, and to draw CF Real Madrid in European competition. Sadly, it never happened in The Don’s lifetime, but when a slightly less vintage era of Leeds finally appeared in the amazing Estadio Santiago Bernebeu, they were not disgraced – indeed, I rather think that Sir Don would have been proud. True Cost of Thatcher’s 1983 Election Win to be Revealed?? Later today, figures on the number of suicides since the early eighties among British armed forces personnel who served in the Falklands Conflict are due to be revealed. The headline figure on casualties of the fighting is clear cut: 649 on the Argentine side, 255 British and 3 Falkland Islanders for a total of 907 human souls lost over a rocky outcrop or two thousands of miles from the supposed “mother country” UK. Arguments may well wax and wane over the correctness of Britain’s historical claims to the Falklands, or Malvinas as they are known in Argentina. A rhetorical question often asked goes along the lines of: how would the British national psyche take it if Jersey or Guernsey, for instance, were to be claimed as sovereign territory by, say, Peru? It’s a hypothesis that perhaps doesn’t get us far, other than maybe to provide an insight into the sensitivity of feeling over the Falklands/Malvinas issue for the citizens of Argentina. Whatever the true cost in lives of the Falklands conflict, what seems indisputable is that the military operation and its success in terms of objective achieved certainly boosted a Tory administration that had seemed in terminal decline at the time of the Argentine invasion. It has been alleged that the British Government had prior intelligence of a pending military operation planned by General Leopoldo Galtieri‘s ruling junta, the implication being that Thatcher’s cabinet saw the political potential of a decision to war-war rather than jaw-jaw, and so elected not to nip the situation in the bud. The extent of the mess that this government found itself in is difficult to over-state; had they successfully deflected any threat of invasion, or had they launched a diplomatic initiative in the wake of the Argentine occupation, it is doubtful whether the impact on the subsequent general election would have been as great. Pragmatically, “war” (even an undeclared war) was a better option than “jaw” – or so the conspiracy theory goes. On the Argentinean side too, there appeared to be significant political advantage to be gained from a successful re-acquisition of Las Malvinas. The Argentine economy was in an even bigger hole than that of the UK, and the effect of the invasion was a major boost to patriotic sentiment and the consequent short-term popularity – or at least acceptance – of the previously despised junta. The historical precedent of a convenient war, to arouse jingoistic feelings and a surge in national pride, is there for all to see. Both sides will have been well aware of the stakes, and a certain amount of brinkmanship may well have been at play. This was probably more the case on the Argentine side, where it seems likely their military operation was calculated on the basis that the British would have neither the will not the logistical capability to mount a response in kind over such a long distance with all the problems of cost, supply lines and communications. In the UK, the swiftness with which that response actually materialised was a tell-tale sign that Thatcher’s government were not only willing, but eager to launch the most emphatic counter-strike possible, and the fervour with which the public hailed the departing task force was a massive encouragement to the hastily-assembled War Cabinet. The attitude on the part of the British forces seems throughout to have been one of belligerent determination and ruthlessness. Despite the problems of distance (mitigated to a large extent by the availability of the strategically-located Ascension Island as a stopping-off point), the task force had the inestimable advantage of its professional make-up; the troops were regulars, hardened pros, and many feared for the fate of the Argentinean rag-bag of conscripts should they ever meet in direct combat. In the event, the Argentine forces fought bravely and effectively, leading to unexpectedly bloody and costly land engagements such as the Battle of Goose Green. The conflict as a whole was more a series of sharp engagements on land, at sea and in the air, than any drawn-out and attritional process. 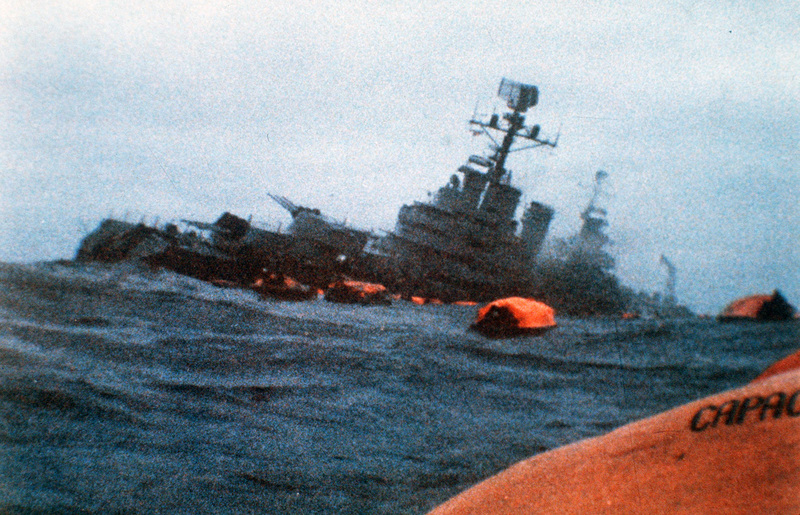 British naval losses were significant – the attack on HMS Sheffield following hard on the heels of the notorious action to sink the ARA General Belgrano. Both sides were being hard-pressed to hold their political nerve in the face of dramatic losses such as these. In the end, of course, there could only be one winner and the likelihood all along was that the British forces, superior in training and equipment even though stretched logistically over such a vast distance, would succeed in re-taking the islands. So it proved, but at a tragic cost on both sides in terms of lives lost. The die had been cast right from the start in that the losing side would almost inevitably see political change in the wake of the conflict and many now view this, from the perspective of over thirty years, as a calculated risk on the part of both governments concerned. 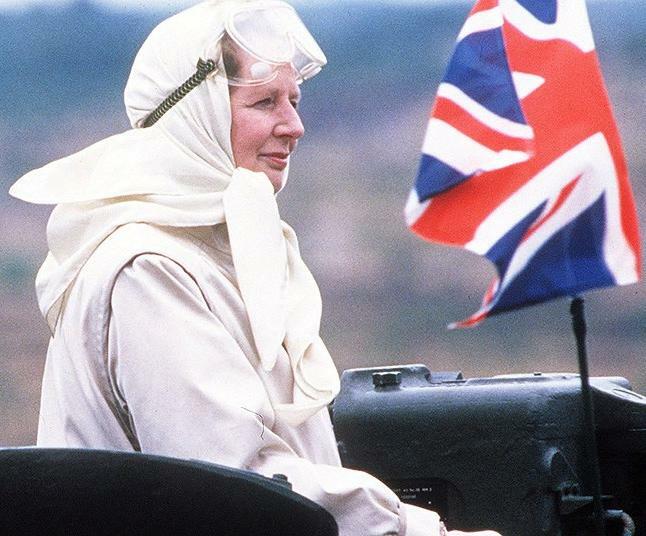 The determination to press ahead with military action and the relative marginalisation of the United Nations in the matter speaks of a strong political resolve on either side, and the results are clear to see; Galtieri was removed from power in January 1983, whereas Thatcher received an immense boost in the polls, and this “Falklands Factor” saw her sweep to victory with a landslide later that same year. The monetarist Tory government was not, after all, destined to be a one-term experiment as had seemed so likely prior to 1982. The course was well and truly set and the old-style of government, with full employment at the root of all its thinking, was consigned to history. Thatcher may have been the economic disciple of Keith Joseph, but she showed the survival instincts of a polecat to go with her determination to make Monetarism work and banish old-style Socialism. From that perspective, the loss of a few hundred lives in the South Atlantic may well have been considered expedient against the probability of electoral defeat and a return to what she will have thought of as the economics of disaster. Thatcher was the big winner in the Falklands conflict. It has been posited since that a great saving, in terms of money and human lives, could have been effected by ceding the territory to Argentina and providing each islander with a bounty of £1 million and a villa in the South of France. This is, of course, a simplistic hypothesis, but the numbers certainly add up. The British government of the day could not contemplate what they would have seen as a craven climb-down, with a devastating effect on how the UK was seen in the eyes of the world. To this day, pro-Thatcher apologists refer to the way she “made Britain great again” or similarly extravagant claims. 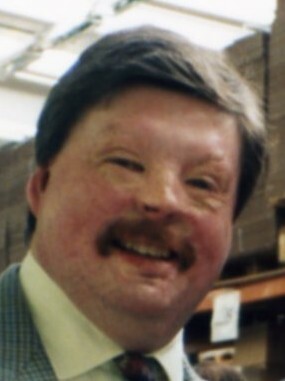 It is notable in this context that one of the most fulsome tributes paid to the late PM, after her death in April this year, was from Welsh Guards veteran Simon Weston OBE who famously suffered extensive burn injuries during the Falklands campaign in the attack on RMS Sir Galahad. Weston is now seen as an inspirational figure for his recovery from his injuries and his charity work, and his endorsement of Thatcher’s premiership was seen as a powerful vindication of her policies, particularly where the Falklands issue was concerned. What appears absolutely certain is that Thatcher gained herself an extra seven years she would not otherwise have had, to advance her own agenda, and change the face of Britain forever. Whether you regard the number of lives lost as a price worth paying for that will depend, naturally, on your own political convictions. 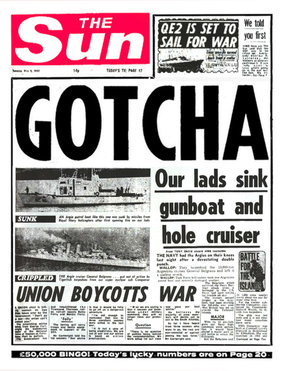 But it may be worth noting, later today, just how high that price was when those official Falklands-related suicide figures are finally released. At a time when our government today is starting to pile up the body count as people take a drastically simple way out of the world being foisted on them, we may reflect on this depressing tendency of governments to view individuals as mere political pawns or economic units, rather than people imbued with a spark of life and the right to an existence outside of macro political considerations. Life should be seen as far too precious to end up as a statistic of the battle to stay in power. Stephanie Bottrill was a 53 year-old grandmother who had lived in her terraced house in Solihull for 18 years, bringing up her children as a struggling single parent, nurturing the cherished back garden which was her pride and joy. Here she’d buried the pet cats she had loved; here was the area of calm she called her “special place”, where she could feel at peace. Then the Bedroom Tax bill arrived, and Stephanie knew she would have to pay £20 extra a week or find somewhere smaller. So, she sadly packed her bags ready to move, but nowhere suitable could be found. 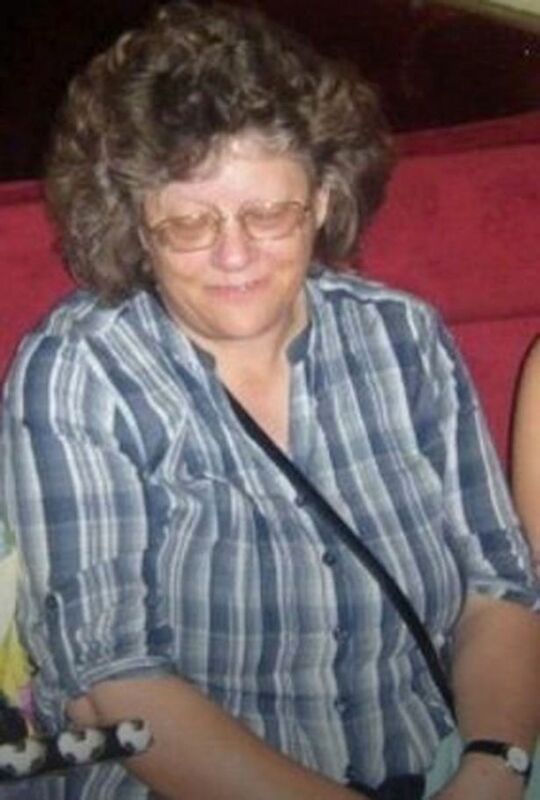 Resigned to her lack of options, Stephanie Bottrill sat down and wrote notes to all her family, dropped her house keys through a neighbour’s letterbox and walked down to Junction 4 of the A6 motorway where she stepped into the path of a northbound lorry and was killed instantly. She had become the first confirmed victim of Iain Duncan-Smith’s ill-advised and hated Bedroom Tax policy. The notes that Stephanie had left behind were notes of love for her family, beseeching them not to blame themselves for her decision to end her life. She just wasn’t strong enough to carry on, she explained, and nobody was to blame but the Government. Her family have reacted with despair and disbelief that anybody could be driven to such lengths. But really, this tragic event was to be expected. A government that formulates a policy that leaves its most vulnerable citizens with nowhere to turn, no options to lead their lives in peace and security, must expect an outcome such as this. Realistically, as appalling and dreadfully sad as Stephanie Bottrill’s fate may be, she will almost certainly not be the last person to give up on life, to snuff out their own life. In the face of this Government’s callous and uncaring determination to visit all our economic ills on the heads of the poorest and least able to pay, it is horrifyingly likely that the death toll will rise, unless those in power can be persuaded to wake up, and smell the coffee. It is difficult to imagine a more ill-conceived and irresponsible policy than this notorious and discredited Bedroom Tax. It is a policy that places those least able to cope directly into a Catch-22 situation. Unable to find the extra money levied each week – £20 is a frighteningly large amount out of a meagre weekly income. Unable to move either, because of the lack of suitable smaller properties. What is one to do? Discretionary payments can be applied for, but the budgets for these are laughably small; in practice only those with the very severest of disabilities in the most deprived of circumstances will have any chance of qualifying, and then only for a limited time. Maybe a move to the private sector rental market, but there is no security there, rental contracts are for months, not years. You are simply existing from month to month, or if you’re lucky, from year to year; you’re not living in your own home. Do the politicians who draft these measures, and who live in mansions and never worry where the next meal is coming from, have any real idea of how this might feel? The heat or eat dilemma? The pain of having to move out of a place where your children grew up, somewhere you’ve invested years of your life to make a house a home? 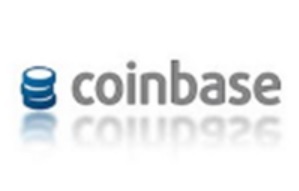 Do they have the remotest clue? It’s equally difficult to speculate as to what the reaction will be of Cabinet Ministers hearing news like this. Will they feel the pangs of conscience? Will they allow doubt to enter their educated and sophisticated heads as to whether these policies are really right? There is absolutely no sign of any such response. The issues confronting the poor, the dilemma of those faced with paying up or shipping out when neither is a feasible option – and there are thousands of people in precisely that situation – are a closed book to people who are in power and yet completely out of touch with the nitty-gritty of everyday life for the most vulnerable in society. That much we can say with confidence; the evidence for it is irrefutable. But an even more worrying question is: do they even care? Does anyone in this Government actually give a damn? Stephanie Bottrill seems to have concluded, in the face of all the information available to her, that – in undeniable fact – nobody in Government does care. Nobody was prepared to lift a finger to help her in her no-win, zero-options situation. Most of us – fortunately for our peace of mind – cannot imagine the despair, the desperate loneliness and lack of hope that goes hand-in-hand with a conclusion like that. We can only accept that Stephanie’s state of mind, as she made her solitary walk to a death she felt was her only way out, was of a resolve born of her absolute conviction that the Government had abandoned her, careless of her fate, indifferent as to whether she lived or died. She made the awful decision to act on that conviction, alone and with her own indomitable brand of courage. Stephanie chose to abandon the world she felt had given up on her. Can any of us say with any confidence that she was wrong?